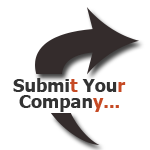 Submit Your Billing Company - Outsource Management Group, LLC. We strive to provide all the information necessary to assist providers in making the decisions that are most important to their practice. If you feel that we have missed a valuable billing company resource that would benefit providers, please feel free to fill in the following short form to submit that billing company directly to our Director of Internet Operations for review. All applicable, relevant submissions will be added to our comparison list here. As an extension of your business, we become a seamless part of the daily function and financial health of your practice. We are continually striving to verify that you’re being reimbursed for everything that you deserve. Contact us today if you’re working long, hard hours and tired of needing more revenue. We become your partner and guide you to a better bottom line! Request a Personalized Quote for The Provider Solutions That We Offer! Request More Information About The Provider Solutions That We Offer!